Yesterday, Major League Baseball celebrated its best players with the annual All-Star Game. As a fan of the game, I have always enjoyed the All-Star Game. It’s an opportunity to recognize the outstanding players and the fan-favorite players of the league. This year’s game only featured one player from my team – Chase Utley of the Philadelphia Phillies. It was also the last All-Star Game for New York Yankees shortstop, Derek Jeter. The players in this game are well-loved and recognized throughout the sport and its fan base. Don’t you think it’s time we recognize the all-starts of the blogging world? Joe Lalonde – Joe writes a great blog designed to encourage leaders. I love Joe’s insights and encouragement. If you are looking to learn and be inspired in your leadership, go check out Joe’s blog. Matt McWilliams – Matt writes about life and leadership. He is an entrepreneur who passes along excellent advice. Matt is also the founder of the Thank You Revolution. Larry Carter – Larry “The Deuce” is one of the most consistent bloggers I know. His blog is a great mix of humor and faith. He will get you thinking twice about things in your everyday life. Dan Erickson – Dan is one of the most creative bloggers I know. He blogs about communication, social media, and a variety of other topics. Dan doesn’t follow the trends followed my many other bloggers. I like the way he goes against the flow. Jeff Goins – Jeff is one of the premier bloggers in the blog world. He blogs about writing, and he shares practical advice and stories about being a writer. Rob Shepherd – Rob is a pastor, a father, a husband, and a comedian. He’s also a Lakers fan, but I try not to hold that against him. I love the way Rob makes you laugh and think. He is also a movie buff, so I appreciate the movie reviews he occasionally brings to his blog. Shawn Smucker – After an absence from the blogging world, Shawn is back at it. This guy can write. He will inspire you. He will stretch you. And he will make you smile. Seth Barnes – Seth is the leader behind Adventures in Missions. His blog challenges readers to live radical in a comfortable world. Dee Riggs – Dee is a friend from years ago, and she is one of the most gifted writers I have ever read. Her blog takes life from many different angles. Dustin W. Stout – Dustin is a social media and blogging guru. He is also a creative designer. He provides practical tips for improving your blog and your social media presence. Michael Hyatt – Michael is the Babe Ruth of the team. His blog is one of the most followed blogs in the whole blog world. He blogs about intentional living and leadership, and he also shares a lot about building your platform. I have learned a lot over the years from Michael, his community, and his guest bloggers. Carlos Whittaker – Carlos is a worship leader, songwriter, author, and creative family guy. He also approaches life with creativity, intentionality, and passion. Eileen Knowles – Eileen writes about the “scenic route” of life. She is an amazing writer who writes on a variety of topics. There are many people who I could add to the list. If you are a blogger and you are not on the list, don’t take it personally. I follow so many blogs, and it is a challenge to narrow it down to the very best. Having said this, I hope you will check out the blogs mentioned above. Who would you add to the list? 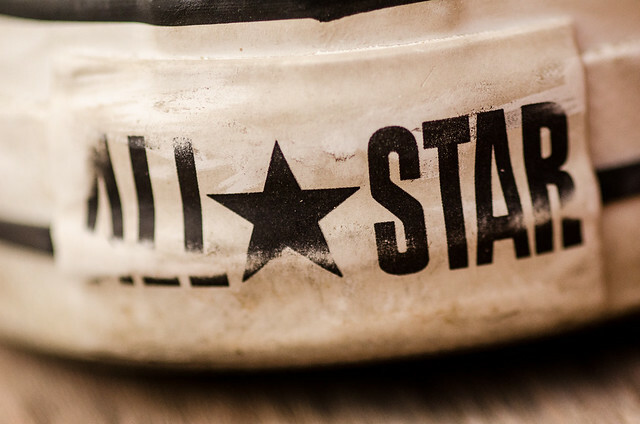 Who would be on your Blogging All-Star Team?